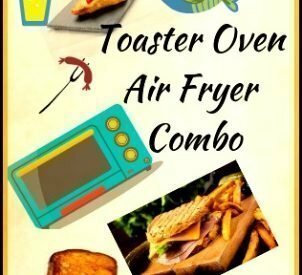 The countertop toaster oven with air fryer feature gives you the convenience of convection baking as well as frying without oil right on your countertop. It does so much more than just toast your slice of bread. 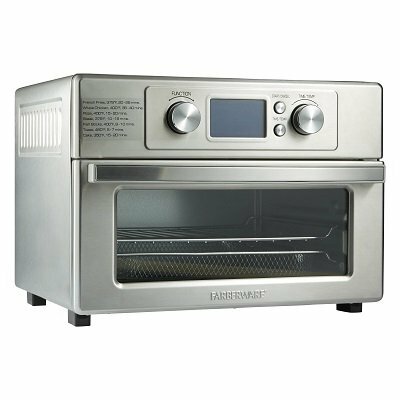 You can bake, convection bake, broil, toast, warm and air fry. It’s not only a toaster, but also an oven, grill and air fryer. Some even come with dehydrate function. You can now dehydrate your own healthy snacks. This versatile kitchen appliance is very useful to those who cook small potions. 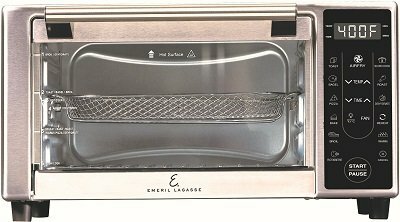 Compared to the convention oven, this cooks fast, conserves energy and does not heat up your kitchen. 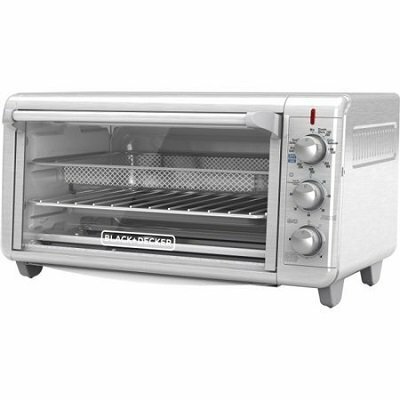 Yes, the toaster oven with air fryer is a great kitchen appliance for small spaces. With this multi-functions appliance, you can easily cook a complete meal real fast. You do not need to preheat. In fact, you can finish cooking most food in 10 minutes – the time needed to preheat your big oven. 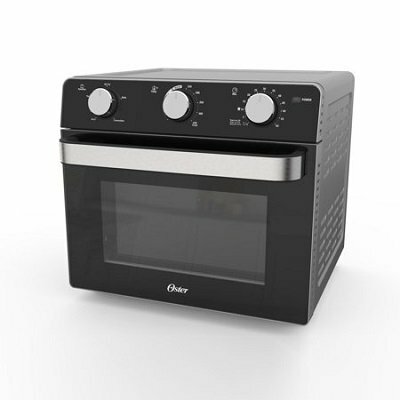 The multi functional toaster oven with built-in air fryer can cook most of the food items that you’ll normally cook in the big oven – faster and with more efficiency. Air fried chicken wings, roast a whole chicken, bake pizza, toast bread, broil salmon steaks and lots more. Food is not greasy. 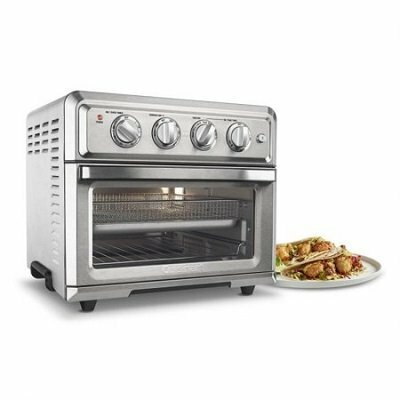 You can air fry more food in this toaster oven compared to the smaller capacity dedicated hot air fryer. Now, you don’t have to cook in small batches. No more wastage of left-over food. Reheat and it tastes like just cooked. 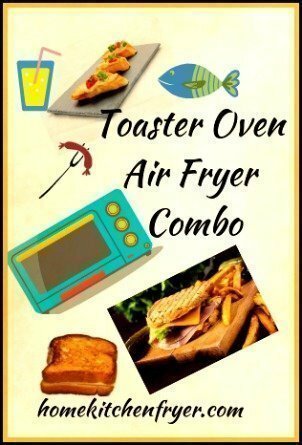 Whether you’re cooking a simple meal for 2 or a special occasion feast, everything can be done using the toaster oven air fryer. It’s easy to use and easy to cleanup. You’re into low fat meals – air fried food comes out with crispy exterior and juicy interior minus the grease that is so common with deep fried foods. You have a busy daily schedule – air fry feature cooks fast, minimum cleanup required. Switch to highest temperature setting and operate for 15 minutes. Keep glass door open throughout for smoke and odor to escape.